One year ago to the day, Damon and Jeanie got married on a beautiful beach in Puerto Vallarta. Now they are celebrating the upcoming birth of their baby boy! 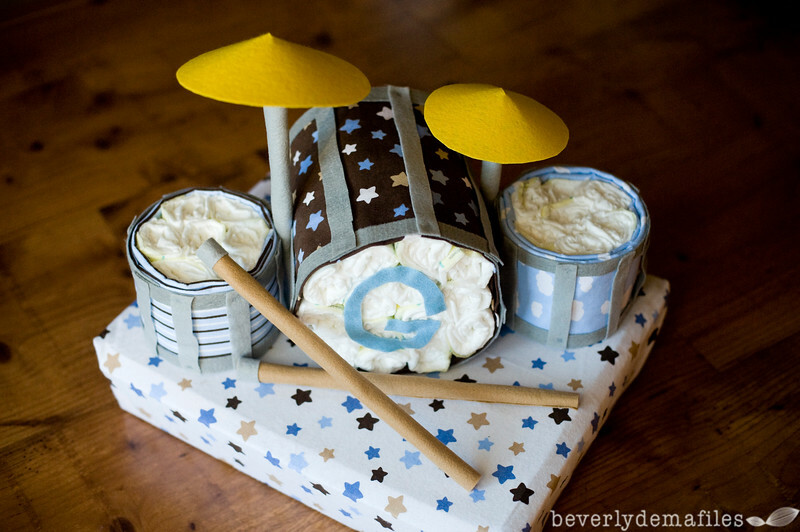 I was feeling a bit creative, and after having made a sushi diaper cake for my sister-in-law Minnette, I went crazy and made a drum set diaper cake for Damon and Jeanie. (Damon plays drums and percussion). Check it out!